These tiny jewels were beckoning to me from a stall the new FreshFarm Market at Union Market this Sunday. 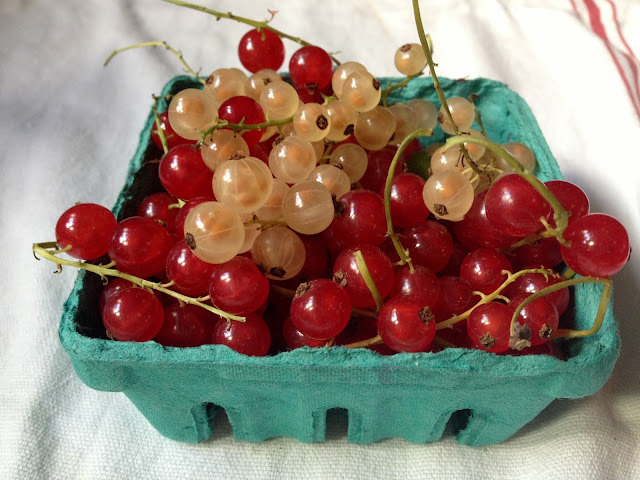 Fresh currants are now in season, and I'm brainstorming ways to use them. They'd look stunning on a cheese plate, and they're deliciously tart alone (notice the empty stems above from my snacking).